WE ALL NEED TO MOVE TO LIVE. HUMAN MOVEMENT IS FUNDAMENTAL TO OUR HEALTH AND QUALITY OF LIFE. When in poor health movement is vital to our recovery and rehabilitation. Being in poor health can dramatically reduce our ability to move, leading to further health complications and slower recovery. If immobilised, either through injury or long term condition, movement is also crucial for maintaining physical independence and mental wellbeing. Supporting mobility and independence is essential to maintaining good health and helping us recover more quickly from poor health. Direct Healthcare Group, especially when the need to move directly affects our quality of daily living. From effective prevention and treatment of pressure ulcers, to supporting challenging care delivery for a broad patient spectrum including those with complex, long term conditions, we support carers and those they provide care for. Direct Healthcare Group uniquely enables the healthcare challenges associated with reduced patient movement to be anticipated, managed, and in many cases, resolved to support care providers and patients. All leading to better health outcomes, accelerated recovery and easier daily living. Direct Healthcare Services specialises in the manufacturing of pressure area care solutions with a comprehensive portfolio of innovative, award-winning products including mattresses, cushions and overlays. With significant experience in the provision of clinically proven, value for money solutions, customers benefit from a combination of innovative pressure care technologies, designed in partnership with leading clinical and healthcare establishments. In 2016, Direct Healthcare Services’ Intelligent Pressure Care Management won the prestigious Queen’s Award for Enterprise in Innovation following the introduction of the Dyna-Form® Mercury Advance; a keystone hybrid mattress. Established in 1981, Kirton has been a leading manufacturer of specialist seating solutions for over 37 years. Now, we uniquely combine our award winning pressure care with specialist seating solutions to provide the user with excellent postural management and clinically proven pressure cushions. Our extensive range of specialist seats offers comfort and support for individuals with mid-level postural needs, complex postural requirements and neurological conditions; as well as a specialist kids range designed with home use in mind. Nightingale provides over 20 years’ experience in the provision of specialist bariatric equipment and support. We offer a 24/7/365 rental service encompassing bariatric handling equipment, bariatric pressure care and specialist seating. With a network of nationwide service centres, we work closely with healthcare professionals to ensure our solutions are reliable, safe and effective. We have our own fleet of adapted delivery vehicles and our teams not only deliver equipment solutions but provide all necessary equipment training, and when required provide on-site support during patient transfer. Our ProServe® Technical Services provides you with our premier quality technical support for the wide range of products your hospital or equipment service have on-site. Direct Healthcare Services is founded, designing and manufacturing ‘best value’ pressure area care solutions. 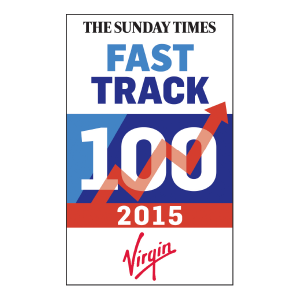 DHS recognised as the 17th fastest growing business in the UK, attributed to an innovative approach in supporting NHS Trusts. Asia Pacific Offices Opened in Perth, Australia. 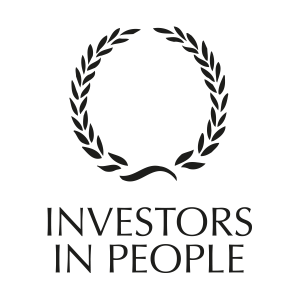 Direct Healthcare Group are awarded an Investors in People Award. with no loss of mattress length to avoid the problem of heel pressure ulcers. DHS announces partnership with the Welsh Wound Innovation Centre, a global centre of excellence in wound prevention and treatment. The Static Air HZ wins the New Product Award at the Insider Media Business and Education Partnership Awards. 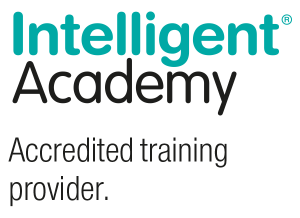 Direct Healthcare Group opens its dedicated education facility, the Intelligent Academy, at its head office in Caerphilly. Intelligent Pressure Care Management wins Queen’s Award for Innovation. Nightingale, a leading bariatric solutions provider, becomes part of the Direct Healthcare Group. Kirton Healthcare, a leading specialist seating manufacturer, becomes part of the Direct Healthcare Group. Direct Healthcare Group Achieves an Investors in People Gold Award.